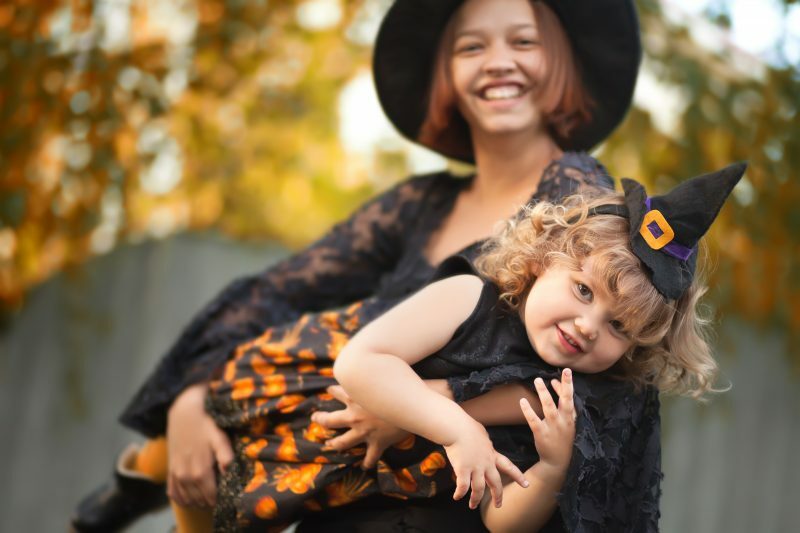 Keeping young children safe on Halloween involves not just trick-or-treating with caution, but being cautious at home as well. Candles inside a jack-o-lantern, for example, can be magnets for toddlers and preschoolers. Consider using a flashlight or glow stick instead of a candle to light your pumpkin, the American Academy of Pediatrics (AAP) advises. If you use a candle, a votive candle is safest. Plan kids’ costumes that are bright and reflective, and fit well. Make sure that shoes fit well and that costumes are short enough to prevent tripping, entanglement or contact with flame. Make sure costumes, wigs and accessories carry a label indicating they are flame resistant. Consider face paint instead of masks, which can block peripheral vision. Keep the home safe for visiting trick-or-treaters. The path to your front door should be well lit and clear of objects, wet leaves and snow. Wait until children are home to check treats before consuming. Ration treats for days and weeks following Halloween. While trick-or-treating with young kids, make sure they don’t stray too far, especially when it comes to crossing the street. If trick-or-treating in an area without sidewalks, walk on the edge of the road facing traffic and use a flashlight, she said. All kids or their parents should have a flashlight. Glow sticks are also great.